Are you over 50 and know how to have fun? Then this is the holiday for you. As Christmas this year would be a lunch with just Mum and me, it was suggested we hop on a tour from Springwood Company "Fun over 50's". 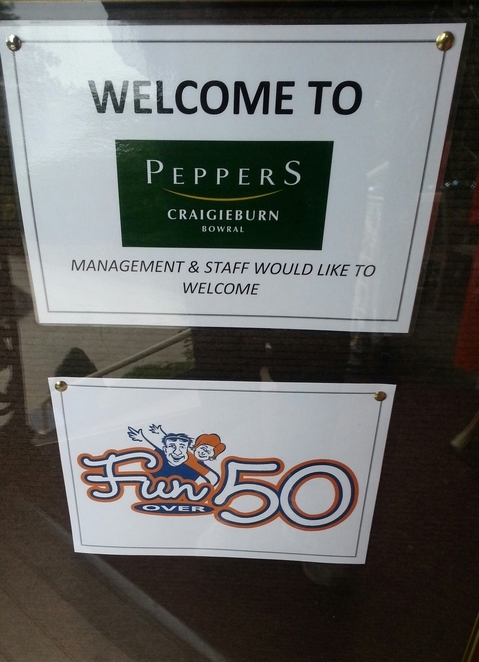 This tour's name was 'Classy Christmas at Peppers Craigieburn' and it certainly lived up to its name. Clearly outlined in the brochure this tour was for six (6) days and for people of medium fitness. It was not for people who required assistance or had difficulty with stairs. The benefit of this tour was that Anne, our hostess, met us at Brisbane Airport and assisted us all the way, so there was no wondering where we had to catch our coach at the other end. Twin Share or Sole use was available for choice and the price included airfares, taxes ex Brisbane, Melbourne & Adelaide. As one traveller put it, "once I paid up front, I knew I wasn't up for any extra costs". We left Brisbane on Monday 23rd Dec and flew to Sydney. Barry our Coach Captain met us at the airport and was our highway travel entertainer for the next (6) days. His knowledge of the area was comprehensive and his "joke of the day" was comical for all on board. Nothing was any trouble for either Anne or Barry for the entire trip. 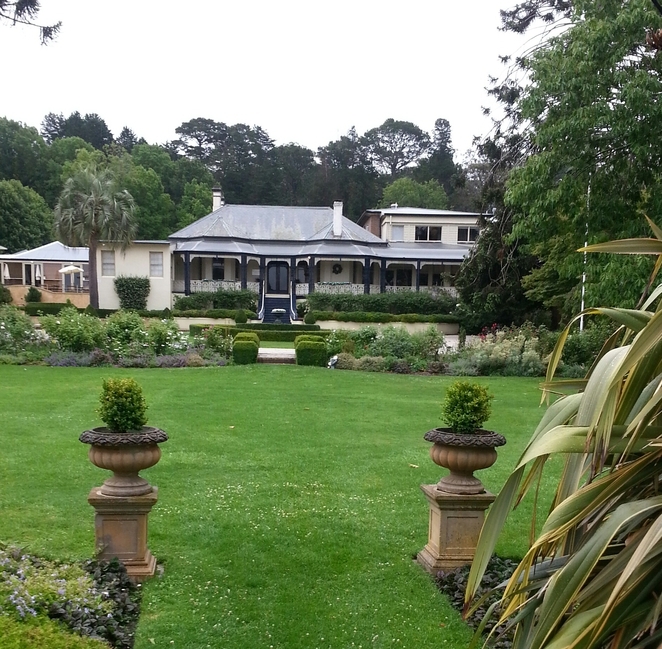 Our accommodation was at historic Peppers Resort at Craigieburn, tucked away in the highlands just outside of Bowral and surrounded by luxurious gardens with aged pencil pines that reached the clouds and adjacent to a 9-hole golf course. Relaxation was a view from your room's window. Fire places were lit at night and reading could be done in the massive lounge complete with large leather chairs and solid wooden tables. A small library of books was available; however many of the guests were consumed by the black leather volume of Craigieburn's history. Day 2 and one item on our agenda I was looking forward to taking was the visit to the Sir Donald Bradman Museum, now known as the International Cricket Hall of Fame. Years ago I had watched the movie "Bodyline" and a story on the life of Australia' Cricket Hero Donald Bradman, however nothing had prepared me for the expansive history this venue provided and the pride I felt as an Australian learning about "The Invicinibles", a team that was never beaten and which included Don Bradman (Captain), Arthur Morris, Don Tallon, Lindsay Hassett and Bill Brown to name a few. Did you know that the first original group of Australian Cricketers to travel overseas was an Aboriginal Team in 1868? One hour is definitely not enough as you wander from room to room reading the walls of history from Cricket's beginning to its current time and losing yourself in the interactive screens of film. A life size bronze statue of Sir Don stands proudly in the gardens. 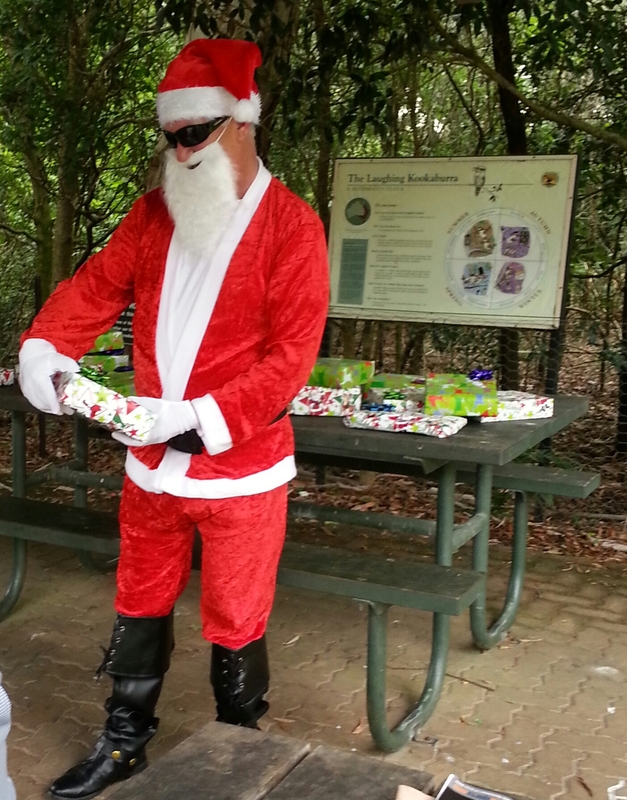 On Christmas morning we were taken for a short drive to Fitzroy Falls returning to our Coach to find "Barry" alias Santa Claus and 37 wrapped Christmas presents, one for each of us. Each of the ladies received box of perfume and hand cream from brands such as Giorgio and Elizabeth Arden. What a surprise and such a beautiful gesture. A scrumptious traditional Christmas Lunch was eaten at Peppers Craigieburn complete with seafood, bonbons and drinks. Full compliments to the Chefs on the taste of the ham, which was mouth-watering to say the least! Dessert wouldn't be the same, especially for me, without Plum Pudding and Custard to finish. The afternoon was for us to enjoy and although misty rain was falling, Mum and I enjoyed a walk around the abundant gardens. 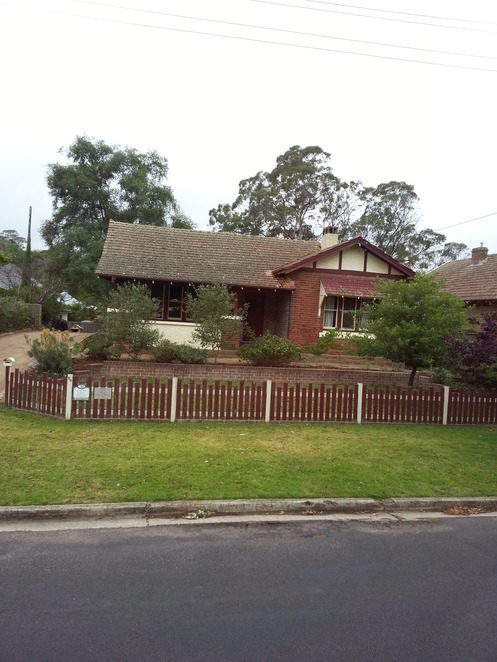 Boxing Day, the Coach took us to historic Goulburn. Collecting a local guide, we enjoyed a 1-1/2 hour informative narration on the history and industry in Goulburn. What a beautiful city. Lunch was at the Bradley Grange Brewery before returning to Bowral via Suttons Forest. On Friday we visited the Illawarra Fly Tree Top Walk which is a 500 metre long, 25 metre high elevated tree top walk built amongst the forest below. The air was fresh and I was amazed how with not too much effort I managed the 106 steps up to the top of the spiral treetop walk. The view of course, was spectacular. A complimentary ice-cream was provided after the walk, being just another one of those special gestures given to us from "Fun over 50's" that made this trip memorable. 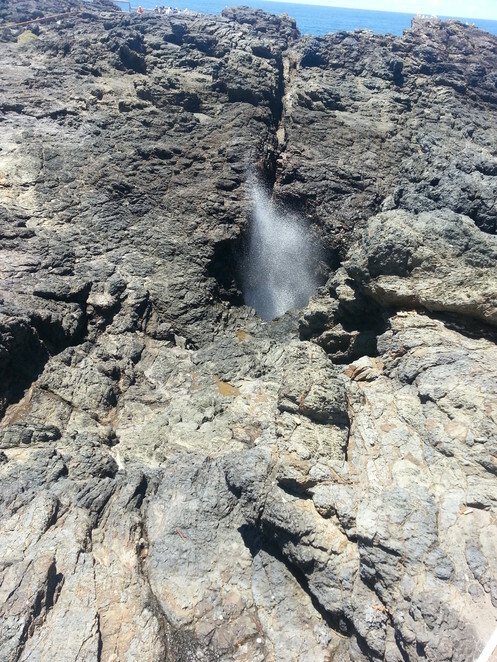 A visit to Kiama to view the famous Blow Hole was followed by lunch was at Coolangatta Estate Wines. Unfortunately the sea was not rough enough that day to arouse the sea's turbulence waves spitting high from the blow hole, however if you have never seen it before, as I hadn't, it was still a marvel of nature's ways. Before catching our respective flights home on Saturday, we enjoyed a cruise on Sydney Harbour which included a smorgasbord lunch. You could not fault the itinerary "Fun over 50's" provided for this short break and although we did something each day, our days were not tiring. We were also lucky enough to have an excellent bunch of people who got on well. 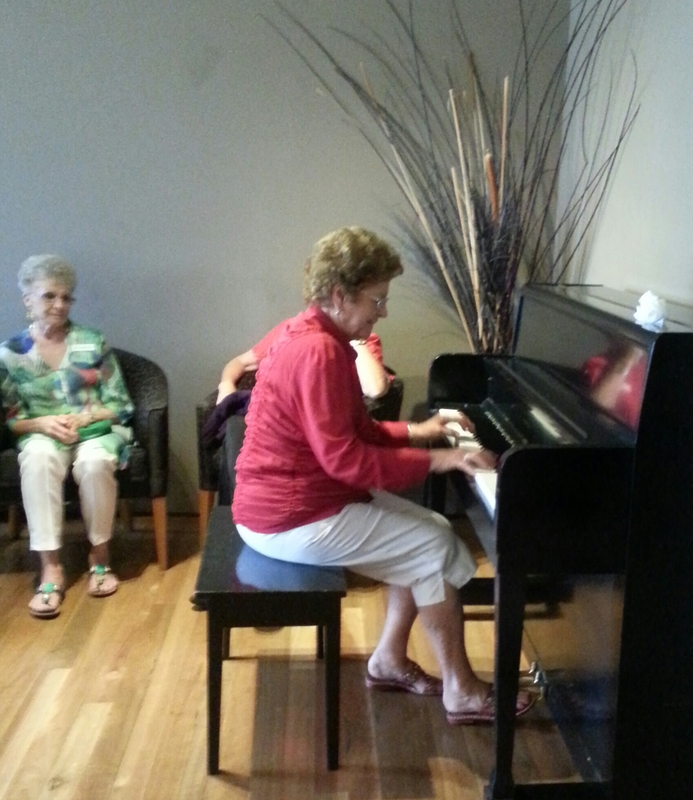 A couple of nights were spent out the piano singing, dancing and tapping our feet to the endless amount of tunes played by "the two Ruth's" from Brisbane. Met at the Conservatorium of Music when they were 15, Ruth and Ruth had amazing talent. Delmae from Toowoomba and Robert from Sydney also led our Concerts with their beautiful voices and songs from renowned musicals. I would certainly recommend "Fun over 50's" as an appropriate choice for a wonderful holiday.